Nigerian reggae legend Ras Kimono died on Sunday, June 10, 2018. Acclaimed reggae star Ras Kimono will be remembered for his contribution to the elevation of reggae in Nigeria. 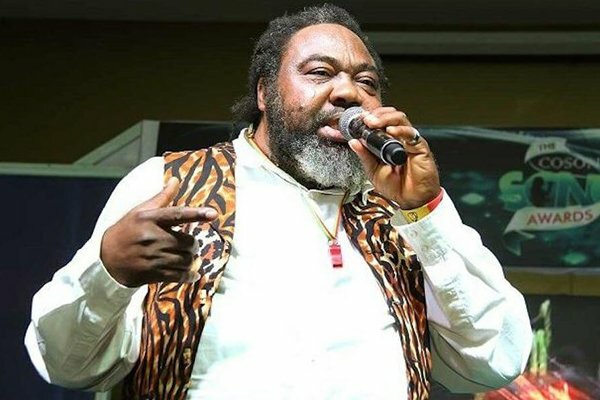 Ras Kimono, known for the hit singles ‘Under pressure’ and ‘We no want’, was scheduled to travel to the United States on Saturday night, but complained of not feeling well. Born Ukeleke Elumelu Onwubuya, Ras Kimono, alongside his Massive Dread Band, won several awards and was prominent in the Nigerian music scene for his socially-conscious lyrics. Lawmaker Shehu Santi paid tribute to the music star. Kimono’s music addressed the country’s various socio-political problems and his debut album ‘Under Pressure,’ was a huge hit in the Nigerian music scene in the late 80s. “Ras Kimono made an immeasurable contribution in the field of arts. He used music for political awakening. He was not a praise singer for the establishment. His songs were for the poor and for his country. Adieu,” Sani wrote on Twitter. Kimono was a mouthpiece of the people. To have a firsthand feel of the tribulations of the downtrodden, he never strayed far from them, no matter what fame brought his way. “I live where the people live so I can see the tribulation they are going through; suffering and the humiliation, so we can put it into our music and expose it,” he said. A native of Onicha Olona in the Aniocha North Local Government Area of Delta State and who recently clocked 60, Kimono’s passing was confirmed by the President of the Performing Musicians Association of Nigeria, Pretty Okafor and the Chairman of the Copyright Society of Nigeria, Chief Tony Okoroji.